It is heard that Samsung Electronics has chosen 5.8-inch Galaxy S8 to be the main model between 5.8-inch Galaxy S8 and 6.2-inch Galaxy S8. According to industries on the 20th, it was found that Samsung Electronics has decided to produce 20 to 35% more of 5.8-inch Galaxy S8s than 6.2-inch Galaxy S8s and ordered components related to 5.8-inch Galaxy S8. Samsung Electronics is going to supply 2.6 million 5.8-inch Galaxy S8s and 2.1 million 6.2-inch Galaxy S8s in March and the difference in supplies between two models will be about 500,000. However this difference will increase even more in April as it is planning to produce 4.5 million 5.8-inch Galaxy S8s and 3.3 million 6.2-inch Galaxy S8s in April. Galaxy S8 is scheduled to be released at the end of April. As a result, 12.5 million Galaxy S8s that are produced in March and April will be initial supplies. 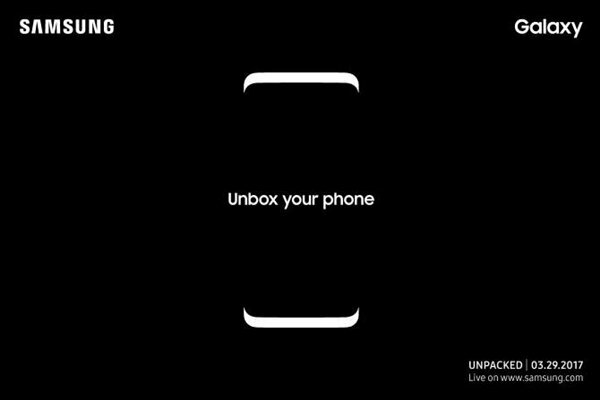 Initial supplies of 5.8-inch Galaxy S8 and 6.2-inch Galaxy S8 will be 7.1 million and 5.4 million respectively. Previously, 10 million Galaxy S7s, which is a previous model of Galaxy S8, were sold within 20 days removed from its release date. Usually manufacturers set up plans for production by applying number of demands in advance. Considering this, it can be seen that telecommunication companies and others are asking for more of 5.8-inch Galaxy S8 model from Samsung Electronics. Prediction that consumers will prefer 5.8-inch screen over 6.2-inch screen was also applied. Biggest characteristic of Galaxy S8 is its change in display as the entire front of Galaxy S8 is made up of a display. Samsung Electronics’ intention is to provide bigger screen of higher sense of immersion by minimizing bezel (edge that surrounds displays) of a Smartphone. At the same time, dual-edge screen that has the left and the right sides bent is applied to Galaxy S8. Samsung Display is supplying entire supply of displays for Galaxy S8. Starting from last month, Samsung Display has been producing components for Galaxy S8. It is heard that Samsung Display is also producing more components for 5.8-inch Galaxy S8 model rather than 6.2-inch Galaxy S8 model. Part that is receiving the most attention from industries’ points of view is all-out introduction of dual-edge display. This is the first time when Samsung electronics is completely removing flat displays and only using edge displays to its Galaxy S series. For Galaxy S6 and Galaxy S7, Samsung Electronics had been pushing for so-called parallel strategy by releasing models with flat displays and edge displays at the same time. This is its strategy to have dual-edge display as an element that will differentiate its flagship Smartphones and this indicates that Samsung Display’s production capability is at a level that can support such strategy. Samsung Electronics had its sales of Galaxy S6, which was released in 2015, disrupted due to lack of supply of edge displays. Industries are also interested on resurrection of ‘Y-OCTA’ technology that was applied for the first time on Galaxy Note 7 but has become a misfortunate technology due to discontinuation of Galaxy Note 7. Y-OCTA technology is a touch integral flexible display manufacturing technology that does not use films and this technology is only applied to 5.8-inch Galaxy S8 model.